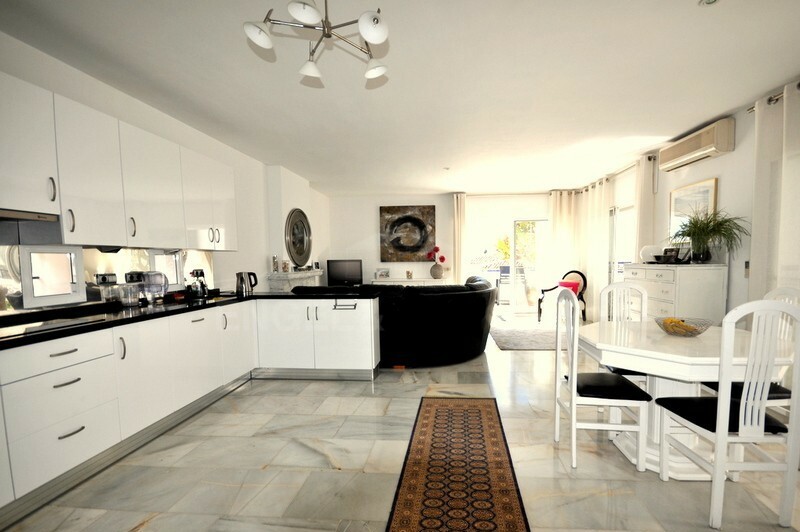 This spacious villa is located only a few meters from the beach in the sought after residential area of Carib Playa, Marbella . There are many restaurants and chririnquitos ( beach restaurants ) within a short walking distance and many shops only a few minutes drive from the property. 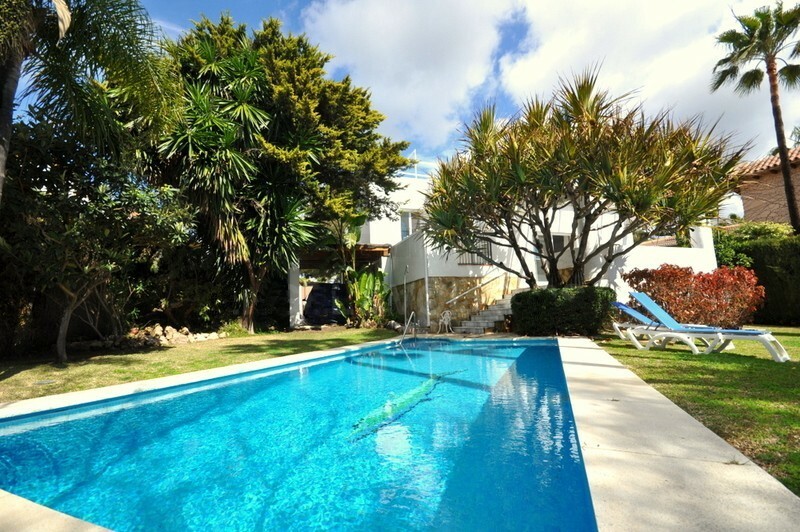 The south facing villa comprises, on the main level, an entrance hall, guest toilet, open plan living room with fireplace, dining area, fully equipped kitchen with separate pantry and a south facing terrace with access to the garden and pool area . 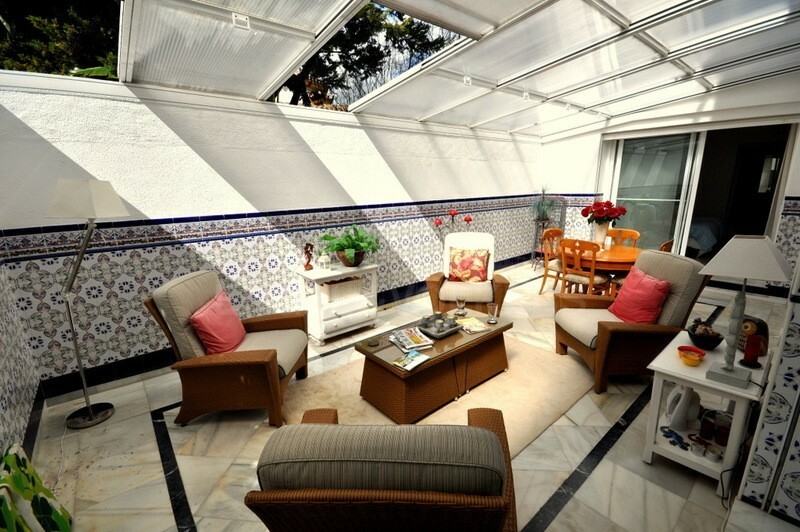 A wonderful conservatory is located just next to the salon and is perfect for year-round enjoyment. Additionally on this level is the en-suite master bedroom. 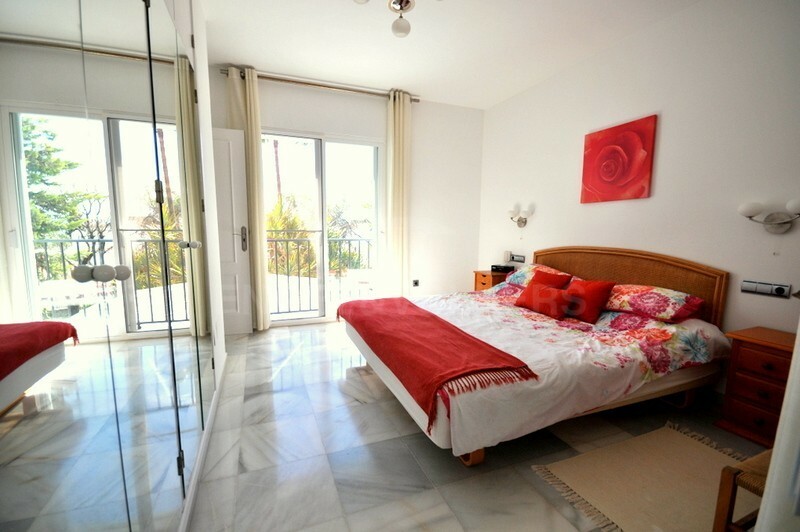 On the second level there is a second living room, terrace, 2 bedrooms, one en-suite plus a separate bathroom, there is also an additional room which is currently being used as a 3rd bedroom. 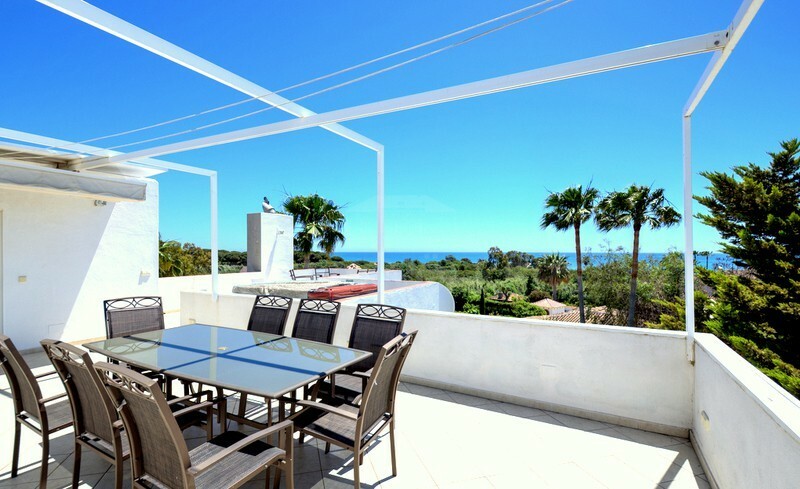 A magnificent roof top terrace complete with a Jacuzzi offers breathtaking views towards the beach and sea and provides a great entertainment space. 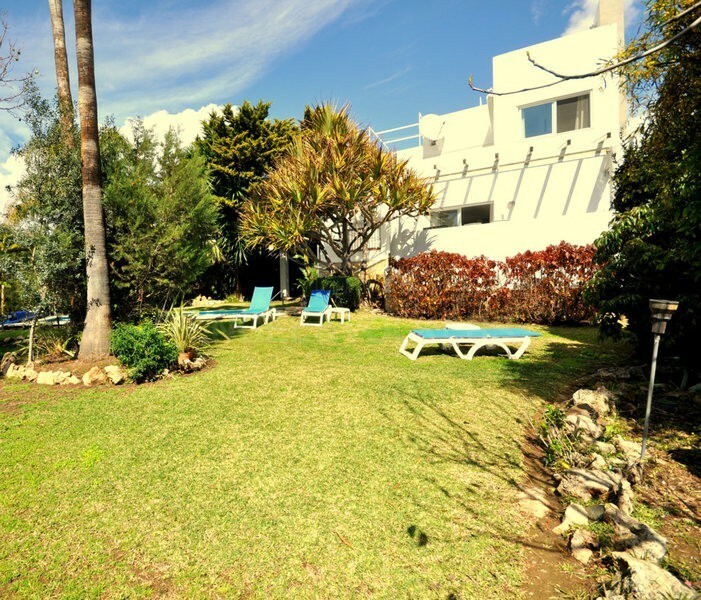 Further the property benefits from A/C hot and cold, alarm, lift, carport for 2 cars, heated swimming pool, storage room and automatic irrigation in the garden.